When I received my last order from MFT Stamps, I couldn't wait to dig in and use it all. 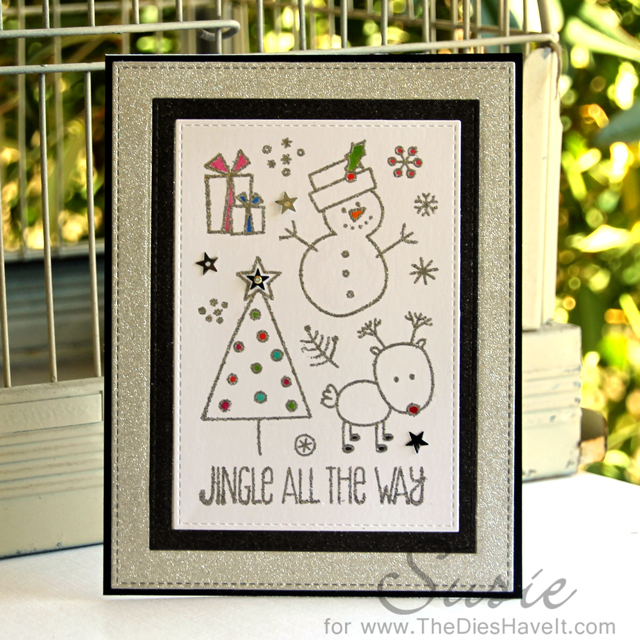 And I wanted to use EVERY stamp in two of the sets - Jingle All The Way and Christmas Cuteness!! I didn't actually use them ALL on this card, but I did use quite a few from both sets.. 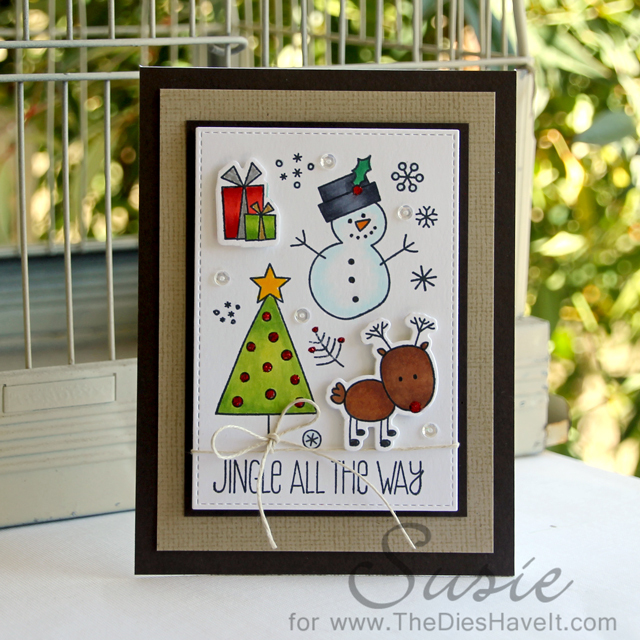 I arranged the stamps on my MISTI (check that out here) and stamped my main panel. Then I stamped them again so I could cut out the reindeer and presents to make the card more dimensional. Once I had everything colored, I stacked up my panels and then added the popped up reindeer and presents. My finishing touches were the twine and the sequins. Since I still had all my stamps arranged on my MISTI, I wondered if I could do the same design using silver embossing powder. So I stamped another panel with Versamark Ink and then embossed it. I added just a few touches of Copic marker to this card. In person this second card is super shiny, but the camera didn't pick that up too well. So this is the beauty of using a MISTI. It is super easy to make multiples of the same card - which certainly works out well during this season! Here is a picture of the MISTI. 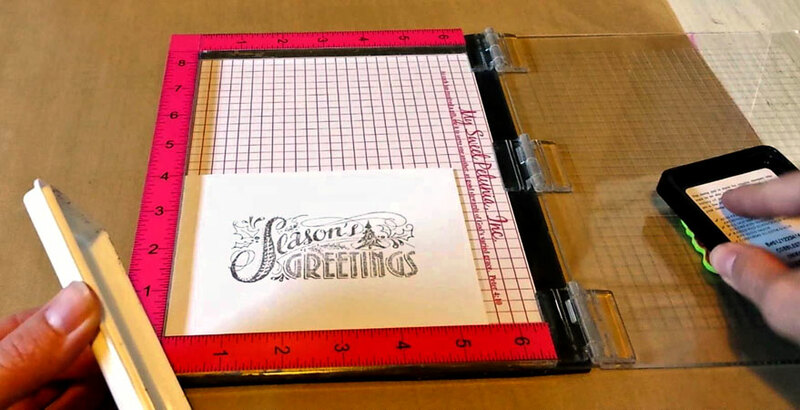 If you are a stamper, you are going to want one of these on your "need to purchase soon" list. Not only is making multiples easy, but you will never misstamp again. You will get perfect placement every time. Have a wonderful day and I'll be right back here tomorrow.